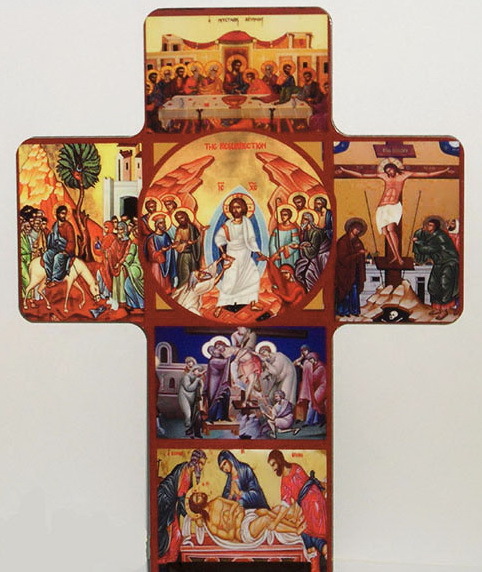 It is one of the most religious and popular days – Holy Thursday, or Maundy Thursday. It is of special interest that the several events being observed at various hours during the day are altogether different from one another, in nature and in the feeling of the devout. 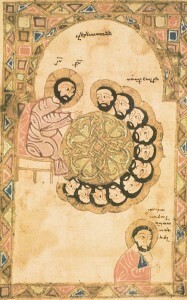 Jesus and His twelve disciples were to celebrate the Passover (Zadig, Easter). The lamb had to be slaughtered in the temple in the evening; the supper would take place later in the evening. Jesus had a premonition of the tragic misfortune to occur. He expressed warm feeling about their supping together. It would be a last supper. He sensed that He would be followed, sought. He was cautious in choosing a place for the supper. The disciples went as they were directed, to Jerusalem. They prepared the lamb and found the room, on the second floor of a house, where they would have their supper. conduct and expressing doubts about themselves. Then they turned to an argument about which of them would be considered the greatest. With such a sad behavior by the disciples Jesus offered a living example of what was truly meant by greatness. 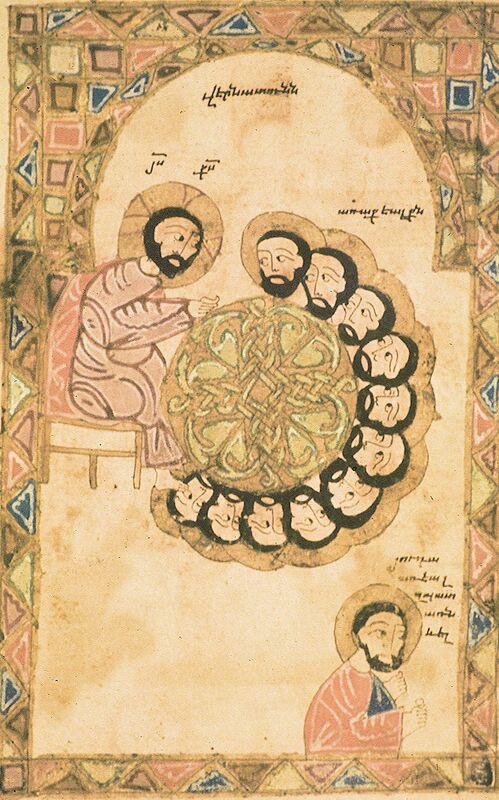 He did so through “Vodenlva.” He began to wash the feet of His disciples as a mark of humility, in the sense that there is greatness in being humble. (See John 13:1-20; Matt 20:25-28; Mark 10:41-45; Luke 22:24-30). 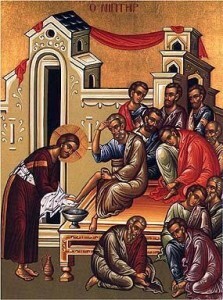 NOTE: For many centuries it has been custom for priests to wash the feet of the faithful on this day. In the 11th century, then Catholicos Krikor Vgayaser established a more formal ceremonial character to the “Washing of the Feet.” There is a custom that continues in many areas for the faithful to bring pure lard – or more properly pure butter – to the church to be blessed. After it has been used at the altar the faithful take some home to be used as a healing salve for eye and ear ailments, or to be rubbed on the forehead to restore the sick to health. The Sacrament of Communion is the most popularly observed sacrament in the church. It has its origin in the Last Supper, as instituted by Jesus himself. Jesus revealed that He would shortly become sacrificed. He called on His disciples to remember Him in His sacrifice in a manner that He himself showed – the bread as the body of Jesus to be sacrificed, and the wine as the blood that would flow for the salvation of mankind. The Gospel tells of this in the following passages, Matt 26:26-28; Mark 14:22-24: Luke 22:19-29. Jesus was taken into custody, was tortured, and His sentence was carried out on Friday. 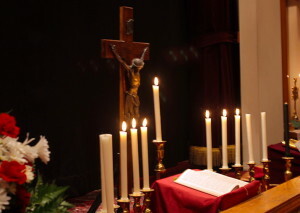 The service of Tenebrae is conducted with the lights of the church extinguished except for 12 candles and one large candle representing the 12 disciples and the Great Teacher. During the progress of the religious ceremony the candles are extinguished gradually, leaving only the one large candle – Jesus alone!